We are a community driven hybrid venture inventively using solar technology to pump underground water in marginalized communities in sub-Saharan Africa. Solar Water Solutions upgrades existing manual water wells in rural communities by installing solar submersible pumps that autonomously extract ground water without human labor. Our borehole refurbishment model incorporates modern day renewable energy technology to power pumps with submersible pumps on old fashioned bush pump boreholes. The overall goal is to provide access to clean water that is sourced in an environmentally friendly fashion for sustainable agriculture and daily use. 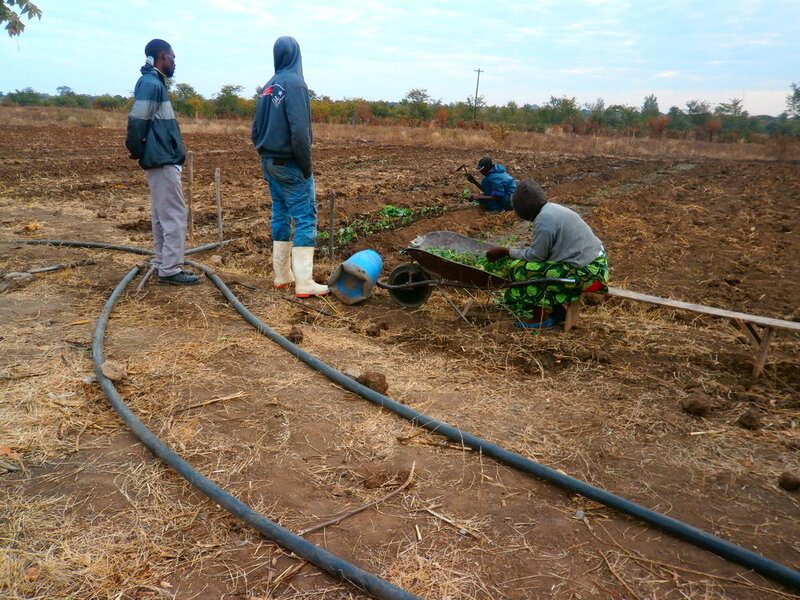 This approach eliminates the labor required by Zimbabwean smallholder farmers to operate manual bush pumps boreholes currently in use. Up to 15,000 liters of clean water can be pumped daily and stored in tanks using our solar water systems. Find out about our organization, mission, our approach, and how we are transforming communities. Ready to take the next step? You can contribute your skills, or make a gift to our organization.